I Mrs. Farida Mzamber Waziri, an Assistant Commissioner of Police (ACP), come to my position as Executive Chairman, Economic and Financial Crimes Commission, with over 20 years continuous training and experience in policing and management. 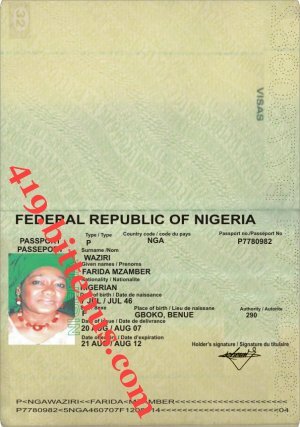 I Mrs. Farida Mzamber Waziri, 45, enlisted into the Nigeria Police in 1986, after obtaining a Bachelor of Science degree in Sociology (1984) from the Ahmadu Bello University, Zaria. I was posted to the Niger State Police Command and served between 1987 and 1988 in Minna. He was Divisional Crime Officer (DCO) in Rijau, Niger State between 1988 and 1989 and for four years (1989-1993), served as Police Public Relations Officer (PPRO) Niger State Command. 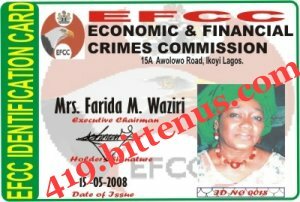 Mrs. Farida Mzamber Waziri was a pioneer officer of the Special Fraud Unit (SFU) of the Nigeria Police, created in 1993 and served in the premier anti-419 corps of the Nigeria Police until 2002. While still an officer of the SFU, I was deployed as Chief Investigation Officer of Ermera District of East Timor of the United Nations Civilian Police where I served creditably, between 2000 and 2001. I was briefly Divisional Police Officer, Ojo, Ibadan, Oyo State and later deployed to the Force Headquarters, Abuja, from where was seconded as a pioneer officer and Director of Operations of the EFCC.In the global pursuit of criminals, Mrs. Farida Mzamber Waziri has worked effectively with other government law enforcement agencies around the world, including the FBI, Metropolitan Police, U.S Postal Inspection Services (USPIS), Internet Crime Complaints Centre (IC3), the Dutch Police, German Police and the South African Police, among others. Mrs. Farida Mzamber Waziri, a Member of the Nigerian Institute of Management and Nigerian Institute of Public Relations (NIPR), has attended several international training programmers, seminars and workshops where i delivered papers on the Nigerian fight against corruption, Advance Fee Fraud and other forms of economic and financial crimes. I also attended a Strategic Management of Regulatory and Enforcement Agencies course at the Harvard University in 2005. I serve as Executive Chairman of the Commission in the period Mr. Nuhu Ribadu would be away on course at the National Institute for Policy and Strategic Studies (NIPSS), Kuru. This is to inform you that Nigeria EFCC Officially receive a Letter to this Department and also want to Warned you to be very Careful by those Peoples Criminals and Scammers because they are trying to Confuse you and you will only receive your ATM CARD without any further Delay as directed by Approve Delivery Agent ( Mr.Samuel Ben ) in COUNTRY ,if you can be able to follow the instruction and directives given to you as the Real Beneficiary. Be informed that delivery will be made to your address in COUNTRY , within 48 hours of our confirmation of this payment. However, it is the pleasure of this office to inform you that your Consignment which is now in Custody of Custom with Delivery Agent (Mr. Samuel Ben ) in New York City-USA has been approved and upgraded in your favor. Meanwhile, your Funds Consignment Box shall be Delivering and Handover to you as soon as you send the Fee needed to obtain CERTIFICATE that Custom needed only. Nigeria EFCC received a letter from FBI and CIA in USA and DIPLOMATIC COURIER SERVICE COMPANY the content was well noted, we are in position to obtain the covered Documents as required immediately ,for Delivery verification of your Consignment as the real Beneficiary ,and we have all the required Documents needed by Director of Custom to release and carry your Consignment down to your door step without any inspection as soon as the Documents is obtained because all the necessary modalities arrangement has been made on your behalf as the real Beneficiary. We want to inform you now that you are required to send the Fee within 72 Hrs to enable us obtain the Documents immediately. Furthermore, be advice that according to the ECOWAS and EFCC Law and also the IMF rules and regulations, you are to obtain the document from Nigeria EFCC Field Office here in Nigeria. Note that you must take care of the Document to be issued to you right away, because due to how important and secured the documents are, it is not issued just like that. You are to send right away one of the Fees for the issuing of the document, that is the only way the EFCC Nigeria will issue you the document and for proper conclusion of the Transaction without any further Investigation. Finally, we are expecting to hear from you today unfailingly so as to enable us serve you better. Thank you very much for your anticipated co-operation and understanding.The above money should be sent via WESTERN UNION within 24 Hrs in favor of the smooth confirmation of the Delivery of your ATM CARD. MTCN. . . . . . . . . . . ? 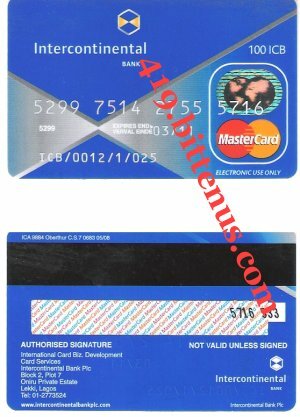 As soon as you comply with the stipulated requirements Fee, sign and seal and return the Payment of MTCN Number with Sender Name as directed for your ATM CARD to be Deliver into your Doorstep ,note that this ATM CARD of your Funds will be resisted in law court of Nigeria and a copy will be forward to the Federal Ministry of Financial and Presidency to take note of the Delivery Payment of your fund made with your Payment Information of the required Charges Fee in your favour without any hindrance.